With over 35 years in the telecommunication industry, Bridge Communications LLC is uniquely suited to understand the challenges small to mid-sized businesses are facing today. Based on your company’s vision, needs, growth and budget, our comprehensive 360-degree, holistic approach is designed to provide you with carrier-agnostic telecommunication solutions, thoughtfully designed to boost your bottom line. Why is Supplier-Neutral Telecom and Cloud Consulting the Best Choice for Your Business? We have been a Bridge Communications client for a little over a year now. They provide affordable and reliable VoIP services to our two locations. The support team is very quick to respond to any questions or concerns. I would recommend their services to any small or medium business looking for data or phone services. While the marketplace is full of various VoIP providers (many of whom come and go or change hands), Bridge Communications belongs on a very short list of private Georgia companies with not only longevity but also a track record supporting companies who can’t afford to take risks with their communications infrastructure – voice, data or telephone hardware. I would without hesitation recommend them to all of our managed IT services clients. 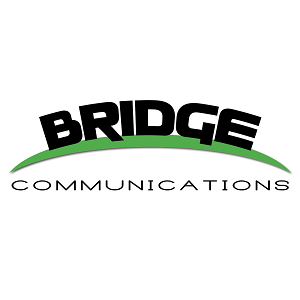 Our office has used Bridge Communications' hosted PBX service for nearly 3 years. The service is reliable and call quality on our conference and desktop phones is top notch. Technical support is knowledgeable and responsive.